There may not be any flying cars quite yet, but 2019 is certainly looking up. 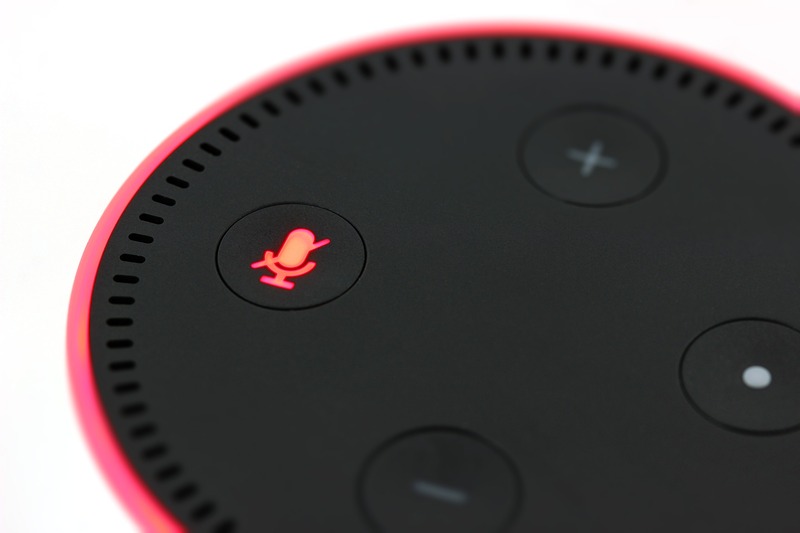 While you look to continuously integrate new technologies and devices into your home to make your life easier, consider these 5 smart home devices to truly make you feel like a 21st-century schizoid man (a rare King Crimson reference for you). Smart lighting devices are built for your ambient pleasure. These lights flicker and glow to whatever settings you choose. The mood lighting capabilities these smart lights offer is likely one of the coolest things a smart device can do. Whether you’re sitting down to game or sitting down to enjoy a movie with your significant other, your smart lights can be adjusted to match the setting perfectly. If you’re enjoying a calm, rainy day, set the lights to a deep blue or purple to really enhance your relaxation while you enjoy a good book or chill on the couch. Whatever the occasion, smart lighting offers you a way to perfectly adjust the ambiance of your room. Combine smart speakers with a smart display to get your very own smart home hub. Use voice control to play your favourite songs or to ask your smart home hub what the weather will be like. The display does much more than show you the weather, however, as it also shows topical information like news and traffic reports and more. You might be thinking, “Smart plugs? What are they gonna think of next: smart pillows?” Well, they actually already have made smart pillows. In fact, just about every item in your home can likely be bought in a “smart” form, but I digress. Smart plugs are actually a very simple, necessary smart item for your home. You’re able to control the smart wall outlets with your phone. For example, you’ve hooked your electric kettle to a smart plug in your kitchen. You remember you put water in it a while back but never turned the kettle on to heat up. With your smart plug, you’re able to turn on the kettle from your phone, even if you’re on the other side of your home. It’s simple; it’s smart, and it’s cheap. These smart devices act like virtual doormen for your home. They keep an eye on your front door and notify you when motion is detected or when the bell is rung. Also, the video doorbells typically contain speakers and microphones that allow you to communicate with visitors through the app on your smartphone: even if you’re not home. You can give directions to postmen and guests, and you can tell suspicious persons to rack off. The convenience and versatility of video doorbells truly make them a smart device you need to bring to your home in 2019. As we head into the depths of our crazy new year, we’re going to need something to keep us cool. To allow cooler heads to prevail, consider adding a smart thermostat to your home. These smart home devices automate your home’s air conditioning and heating and find an ideal equilibrium so that you never need to adjust the thermostat again.